For Carlos Bianchi, the choice was easy: “Lionel Messi is the best of all time. He has now surpassed Pelé and Maradona.” At face value it’s a simple opinion shared by many football folk – from great managers to humble fans – but it offers a telling insight into why Carlos Bianchi is without question one of the finest South American coaches in history. Bianchi is an idealist; a man who sees football in the simplest terms. For a man who has won a record four Copa Libertadores titles, it’s all about quality. The best players win things. Bring them together – in mind and in tactical focus – and winning is inevitable. That’s the Bianchi school of thought, and it made him a legend. Bianchi’s managerial philosophy was born from a school of thought that existed at Vélez Sarsfield in the 1960s. Coming through the youth ranks of the historic Buenos Aires giants – often lost to historical text as they’re somewhat darkened by the looming shadows of River Plate and Boca Juniors – it was here that Bianchi would understand the value of making talent work together, for one another and for the betterment of the team. Bianchi himself was a teenage prodigy, rising through the Vélez youth ranks to make his debut for the club in 1967. His first season, in which he would be crowned top-scorer, would remarkably represent the high-point of his career in Argentina. Winning the Torneo Nacional was just reward for a fantastic Vélez side, considered by many to by one of the greatest in the club’s history. That Vélez side, boasting the talents of Luis Gallo, Juan Carlos Carone, Omar Wehbe, Daniel Willington and indeed Bianchi himself, etched their names into history, winning the club’s first national title. Their failure, however, to build on that success would stick with Bianchi, who continued to score freely, becoming one of Argentina’s most feared strikers in the process. In 165 games for Vélez, Bianchi scored 121 goals, earning a move to Stade de Reims in 1973. By now – and little could Bianchi have known – his Argentina career was already over. At just 24, and with seven goals in just 14 games, Bianchi had already played his last game for La Albiceleste. The disappointment at such a meagre return would drive Bianchi to success in his managerial career and create a bitter relationship between Argentina’s most successful manager and the national team for years to come. Helping the French side to a fifth-place finish in Ligue 1 in 1976, Bianchi continued to prove himself as one of the best goalscorers of his era. Plundering 107 goals in 127 games in the top-flight, Bianchi was a masterclass in touch, striking of the ball and intelligent movement. His own career drove him to the natural assumption later on in life that quality is what matters. It’s ironic, then, that despite Bianchi’s undoubted quality and world-class statistics, he won very little as a player. Bianchi’s zenith came during a spectacular two-year stint with Paris Saint-Germain between 1977 and ’79. Notching 71 goals in two years, including winning the Ligue 1 top-scorer award with 37 strikes in 1977-78, Bianchi cemented himself as one of the club’s greatest foreign players. Indeed, until a certain Zlatan Ibrahimović waltzed into Paris with the determination of a charging rhino, many still considered Bianchi to be the club’s greatest foreign striker. He stands tall with the likes of Ibrahimović and Safet Sušić as one of the finest imports in PSG history. In all, during his seven years in France, Bianchi won the Ligue 1 top scorer award five times. Bianchi would return to Vélez 1980 and help himself to 85 goals in 159 games – but again would fail to lift any silverware. Finally retiring after a final season of excellence at Reims in 1984-85, Bianchi’s career had been punctuated by personal highs and collective lows. Winning a solitary league title was a disappointment softened by the fact that he had become the highest-scoring Argentine footballer in global top-flight history. He would take his experience as a player – the underwhelming Argentina career, the near-misses with Vélez and PSG, and the experience gained in Europe – to form a coaching philosophy that would see his managerial record stand out in stark contrast to that as a player. Bianchi would have to wait for success. Taking the Reims managerial job after his retirement in 1985, the Argentine would spend three tricky years at the club he once christened “the most enjoyable in the world”. Attempting to blend Argentine grit with French flair proved difficult for a man who was bullish and blunt but extremely determined. Bianchi’s methods were simply too geared towards discipline and aggression in France. He believed in quality and freedom of expression for his most gifted players, but Reims simply didn’t have enough. They were a middle-of-the-road French club, whom Bianchi could still have played for despite his advancing years. 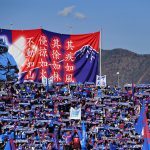 A similarly frustrating spell followed in Nice before Bianchi took a three-year sabbatical from management, with few clubs in Argentina willing to take a chance on a man who had developed a mixed reputation in his homeland. Some saw Bianchi as the man who didn’t care for Argentina, willing to move abroad for better pay and glory ahead of staying in his homeland to forge a career with the national team. He was considered a mercenary; a man who put himself first. His critics would point to his goalscoring record as evidence, branding him a selfish player who put his own success before that of the teams he played in. While Bianchi was indeed a man who strove for personal glory during his playing career, he was unfortunate to have not played with better players. He could easily have won the World Cup in 1978, deserving a place in the squad after a record-breaking season at PSG. These setbacks, these personal attacks on his character, would eventually give way to a softened admiration for his ability as manager in 1993 when he took on the Vélez Sarsfield role. Having travelled to Europe to further his education of management, and having spent time in Italy with Arrigo Sacchi, Bianchi returned to Argentina determined to win the trophies that had eluded him during his playing career. His single-minded determination spoke of both his personal desire to achieve glory and his appetite to succeed as a manager. Bianchi completely transformed Vélez, blending natural talent with Argentine aggression. He moulded the players in his own image, forcing them to fight for an individual cause to help the collective. Bianchi asked his players – in almost cliché fashion – to win their individual battles, that the collective can only succeed if the parts are working together. It was a simple request that worked wonders. The Buenos Aires native was a club legend and knew it better than most. The players instantly took to their new mentor, playing some of the most iconic football in South America in the early-1990s. Winning the 1993 Clausura in his debut season was just the beginning. The next year would see Vélez scale the greatest heights in football, and etch Bianchi’s name into managerial folklore. The club topped their Copa Libertadores group ahead of Cruzeiro, Palmeiras and local rivals Boca Juniors who, much to the joy of the Vélez faithful, finished bottom of the toughest group in the tournament. Vélez would go all the way to the final, coming up against São Paulo and defeating the Brazilians on penalties in one of the tightest two-legged final affairs in the tournament’s history. Bianchi had built a machine, much like Diego Simeone’s Atlético Madrid. Though Vélez played with more swagger in attack, the unity in the group was staggering. Everyone knew their roles in the finest detail, with Bianchi spending hours on the training ground perfecting their set-piece routines and defensive stability. The free-scoring, maverick striker had become the poster boy for managerial discipline and organisation. 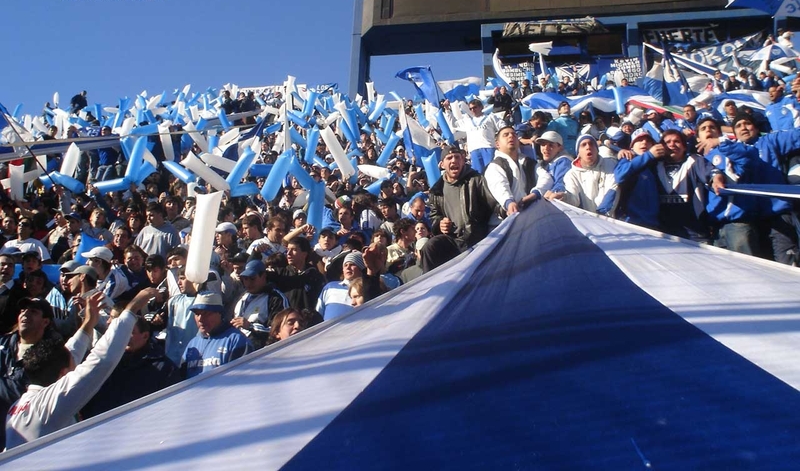 Vélez followed up their South American triumph by conquering the world in December 1994, defeating Fabio Capello’s famed Milan side 2-0 in the Intercontinental Cup. The likes of Roberto Trotta, Omar Asad, Christian Bassedes (yes, the Newcastle one) and José Luis Chilavert had overcome the much-fancied Zvonimir Boban, Franco Baresi, Paolo Maldini and Dejan Savićević. Bianchi stood proudly on top of the world, looking down at his detractors and critics. The man who was once labelled Argentina’s most selfish footballer had become an icon for unity. His collective had defeated Europe’s best team. Bianchi would win the 1995 Apertura and the 1996 Clausura at Vélez, cementing his legacy as the club’s greatest coach in the modern era. Talk to Vélez fans of a certain age about their finest player and many will mention the goalscoring acts of Carlos Bianchi. Talk to them about the club’s greatest manager and many will mention the unifying effect of Carlos Bianchi. He is the complete Vélez legend. With all objectives achieved at Vélez, Bianchi left for another ill-fated spell in Europe as Roma manager in 1996. A short spell in the Italian capital was followed by being offered the biggest job in Argentina – that of Boca Juniors manager. Despite success with Vélez, the reality was that the 49-year-old Bianchi only had six trophies to show for a 31-year career in the professional game. Boca would be the make-or-break role for Bianchi. Fortunately for Bianchi, he inherited a squad boasting the youthful talents of Juan Román Riquelme, Martín Palermo, Fabio Coloccini, Walter Samuel and Sebastián Battaglia. Blended with the experience of Óscar Córdoba, Diego Cagna, Guillermo Barros Schelotto and Rodolfo Arruabarrena, Bianchi set about unifying his squad and working on their individual games. Bianchi would spend hours on the training ground correcting every tactical nuance, ensuring his players were drilled in exactly what was needed for success. Bianchi only cared about winning at Vélez – it didn’t have to be pretty. At Boca, however, with the likes of Riquelme and Guillermo Barros Schelotto at his disposal, Bianchi believed that football could be beautiful. 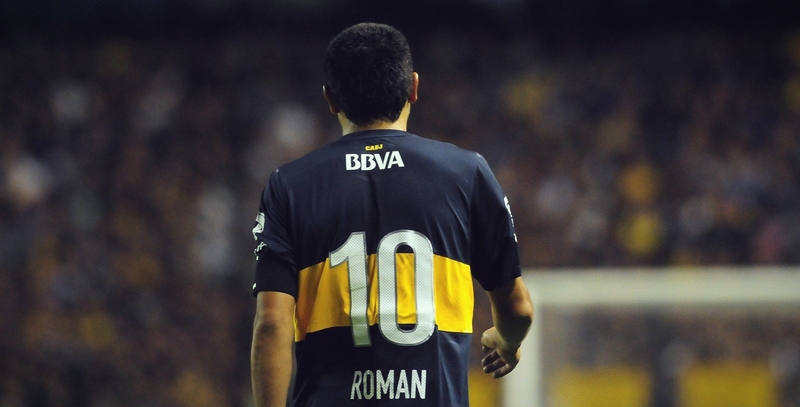 Setting Riquelme free in the number 10 position and allowing him to stay up-field and drift into space, the mercurial midfielder repaid the faith by helping Boca lift three domestic titles in 1998, ’99 and 2000. Bianchi had now lifted six titles in seven years as a manager in Argentina. True success, however, would be achieved on the continent, where Bianchi would forge his legacy as the greatest coach in the history of the Copa Libertadores. In 2000, the Argentine giants defeated Palmeiras of Brazil over two legs to lift the title, Bianchi’s second. Led by the goalscoring exploits of Palermo and the wizardry genius of Riquelme – who many believed to be South America’s finest player – Boca swept their way to the final, overcoming a dogged Palmeiras side boasting Alex and César Sampaio on penalties. Bianchi would repeat his managerial feat the next season by defending the title. Without Martín Palermo, who had moved on to Villarreal, Riquelme increased his goalscoring output over the season and took charge of a team that was still improving. Bianchi’s tactical masterclasses in the tournament came during the quarters and semis, where he inspired his side to overcome Brazilian giants Vasco and Palmeiras respectively. What was most evident in those wins was the determination with which Boca approached the games. 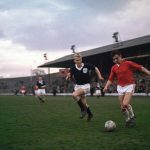 There was a steel about the club, a belief that they simply couldn’t be beaten, even when the games were tight and full of quality. Bianchi had created a rounded machine. Between the Copa Libertadores triumphs of 2000 and 2001, Boca also found time to defeat Real Madrid in the Intercontinental Cup, ensuring Bianchi once again stood proud on top of the world. Defeating a Real Madrid team that included Hierro, Raúl, Figo, McManaman and Guti, Bianchi demonstrated his tactical genius in setting up his teams to beat who they played. His tactical flexibility was spectacular. While many managers today struggle to coach and develop a system that differs from their core philosophy, Bianchi could change from week to week depending on the opposition. He had the complete trust of his players, who played for their manager and were united in achieving their path to glory. Bianchi was simply the greatest unifying presence in South American football. After leaving Boca in 2001, he returned to La Bombonera in 2003 to cement his legacy. An Apertura title in his first year back at the club was followed swiftly by his most commanding Libertadores title. 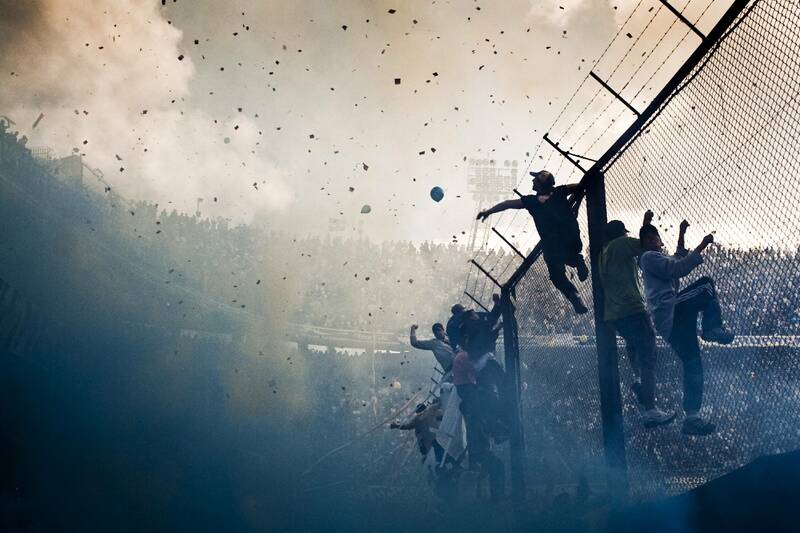 With a young Carlos Tevez leading the line, Boca dismantled Cobreloa and América de Cali in the knock-out rounds, and Santos in the final, to win Bianchi’s fourth Libertadores title. In his final act of glory, Bianchi would once again get the better of Milan in the Intercontinental Cup to win his third title against Europe’s champions. By now, Bianchi had been voted South American Coach of the Year five times and IFFHS World’s Best Club Coach twice. He had scaled the peaks as a manager that few predicted he would. A quiet later career saw him return to Boca for a year, rarely scaling the heights of his earlier spell. Without the outstanding Boca talents of the early-2000s, and in a different football landscape, Bianchi failed to galvanise his squad and challenge the new order in Argentina. There should be no doubt that Carlos Bianchi was a world-class coach. Despite a relatively short period of success at the highest level, and failing to succeed in Europe as a manager, he set records and won key games that will ensure he legacy lives on for decades yet. Bianchi’s ability to overcome criticism, focus on a single-minded goal of winning games, and his ability to read the opposition, set him apart from most of his peers in the South American game. In the closest contests, during the highly pressurised moments, Bianchi found greatness. He found another level of understanding and called upon the trust that his players so often had in his methods to scramble over the line and lift silverware. While Bianchi is perhaps the greatest Argentine trainer to never manage the national team, and while others such as César Luis Menotti and Carlos Bilardo win the plaudits for their World Cup success, the truth is, neither of them can lay claim to the records that Bianchi set at club level. He was a better player than either of them and his domestic success casts a long shadow of his more illustrious peers. Known to a generation of football fans today as the man who looks like Larry David, Carlos Bianchi is a man whose legacy and achievements will forever make him one of South America’s greatest. From his despairing relationship with the national team to his failed stints in Europe, Bianchi rose again, took stock, built a team in his own determined, unflinching image and conquered the game, reminding the big clubs in Europe that patience can be the greatest of virtues in football.